Market Fest is a community organized festival to celebrate the resurgence of the Richland Park Farmers Market. Last year (2015), TURBO was invited by the festival to activate Charlotte Pike with parklet style installations. These installations were similar to that of PARK(ing) Day. TURBO was invited back this year to make similar installations. 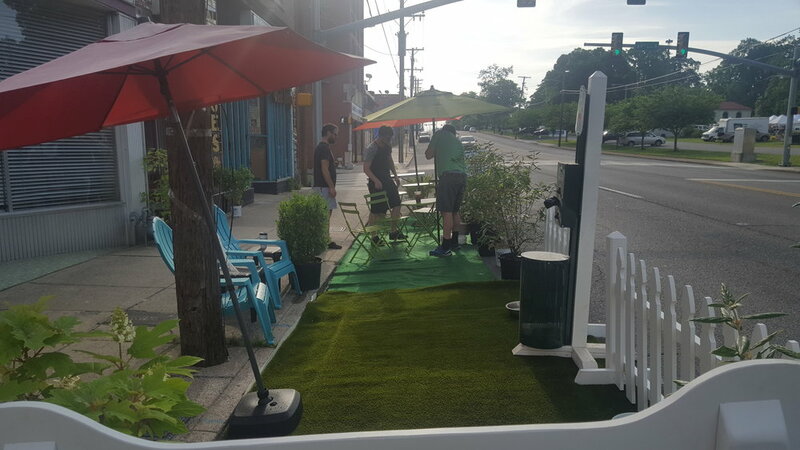 A dog friendly parklet was created over the length of 2 parking spaces to make a place for people to sit and enjoy coffee or take a load off while walking their dog. 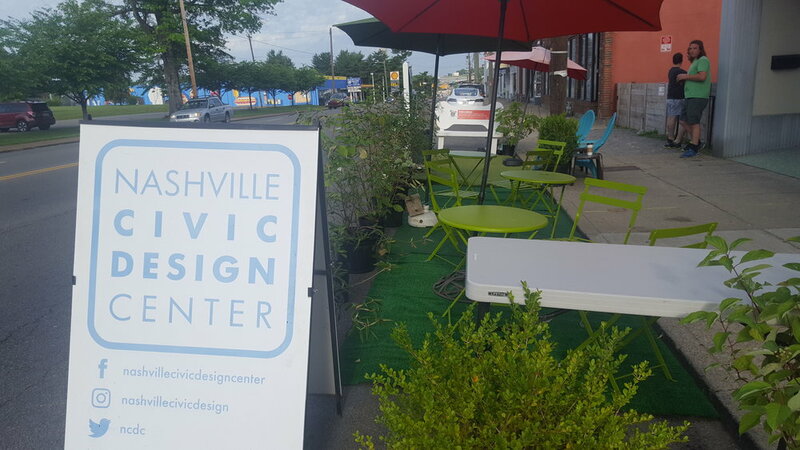 The parklet was set up for about 30 mins when a vehicle rolled up to the parking spots just south of the of the newly sprouted public space. Two men approached the parklet and proceeded to tell TURBO that arrests could be made if the installation continued to stand. After some arguing with the men, TURBO decided they would remove their installation. This parklet would have been great public space for the day. It would have been a frequented stop for nearby coffee shop, headquarters, and a nice place to stop with a dog on the way to and from the farmers market festival.